IRVINE, Calif. – As the line between traditional journalism and user-generated content increasingly blends, RACER Media & Marketing has agreed to a strategic alliance with UK-based automotive digital community platform DriveTribe.com. Using their respective access to local markets, both parties will collaborate to diversify audience reach and revenue opportunities to bring authentic motorsport-related content opportunities to a non-endemic audience. DriveTribe, backed by Jeremy Clarkson, Richard Hammond and James May, the trio behind Amazon Originals, already has five million active users just two years after launching, and is poised for more gains having entered the Chinese market last July. Under the agreement, RACER will take a lead role in supplying and curating motorsports content on DriveTribe, ensuring the broad-based community platform gains access to RACER’s renown journalism and behind the scenes industry access. They will also use their in-house content agency RACER Studio to create original written and video content marketing to integrate with enthusiast and motorsports communities across DriveTribe. 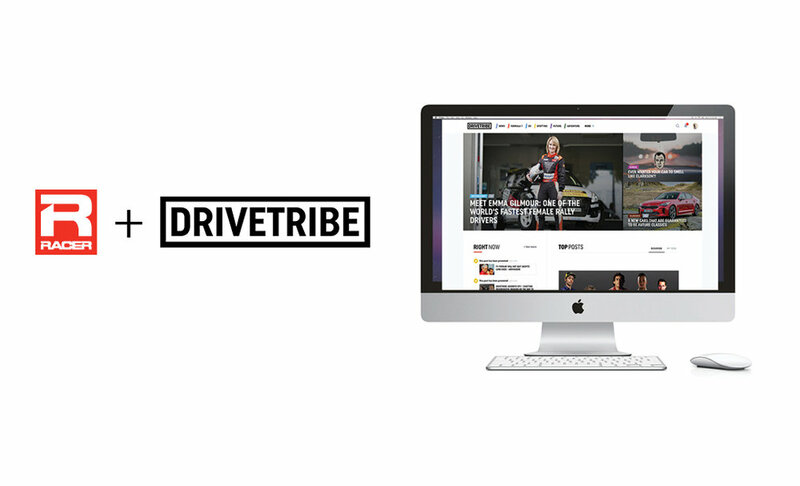 In less than two-years since DriverTribe’s launch, amateur content producers have generated content and communities (Tribes) on every conceivable motorsport across the globe. All major franchises are covered in detail - from Formula 1 and NASCAR through to INDYCAR, IMSA and MotoGP alongside sizeable communities dedicated to grass-roots racing, drifting and drag racing. RACER can be found on DriveTribe under the name RACER Magazine. DriveTribe is global automotive community platform launched in November 2016 by former Top Gear and current Amazon Original’s Grand Tour presenters, Jeremy Clarkson, Richard Hammond and James May. The platform offers motoring enthusiasts, entertainment seekers, vehicle owners and buyers alike, a place to share content and engage with like-minded individuals. Users can create or join Tribes to watch, read, comment or post content. Over 1,500 articles, videos and photos are uploaded every day by celebrities, influencers and the community at large. The platform reaches some 5m monthly active users as well as an extended reach of over 200m across DriveTribe owned and partner social media channels.